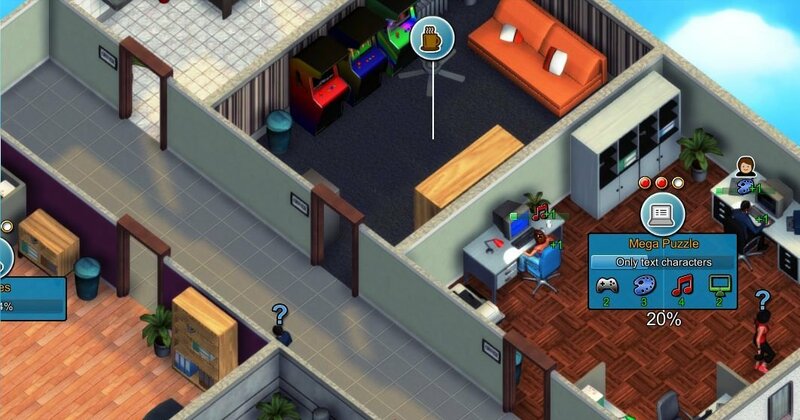 In the previous article about Mad Games Tycoon, I promised that I will write an in-depth guide about the Legendary mode and what has to be done for you to be able to win – or at least have a shot at winning the game. So let’s get this started because the Mad Games Tycoon legendary mode is getting more and more difficult with every new patch and update. However, it’s not all lost and with a bit of work and even more patience, you will make it in Mad Games Tycoon on legendary – and feel great about yourself! It’s all based on how you start the game. First, choose to start in Japan to have the research option unlocked. Then, turn your character into a programming genius: set the Programming skill to 40 and the Speed to 50. Arcade and ASCII would be a good combination to start with to help you early on. Now build a room that’s big enough to hold at least two desks, but only buy a desk and place your guy there. Start doing contracts over and over again (wait for them to become available when they disappear from the menu) and as soon as you have the resources, build a research room. When there are no contracts left, move your guy to the research room and research features for a game engine (Sprites): as soon as you have the first feature researched, work on your game engine. Sell it for a few thousand (5,000 would be ideal) and 10% of the profits. This will also make you some random money – but not a lot. Your first game will be pretty crappy, but it doesn’t matter. You’re just going to get better. So keep on doing contract work until you get a decent amount of money in the bank. That should again be $100,000. By this time you will probably have a bunch of features available for research. Hire one guy to join you in the Research room and research the new features. Build your second game engine, also for the Arcade Genre. 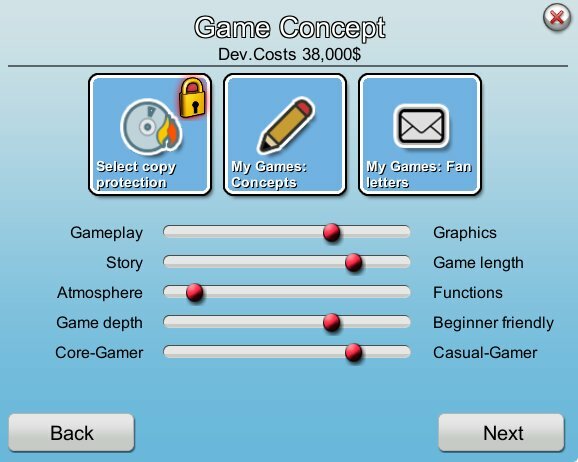 This is what you’ll be using for your next game – start developing it right away. Once you get this running and you have a positive balance, you can start looking into bringing more people to the table – start with game developers, then researchers and slowly build your way up. Make sure to look at our Mad Games Tycoon tips as they also work perfectly with the Legendary mode.